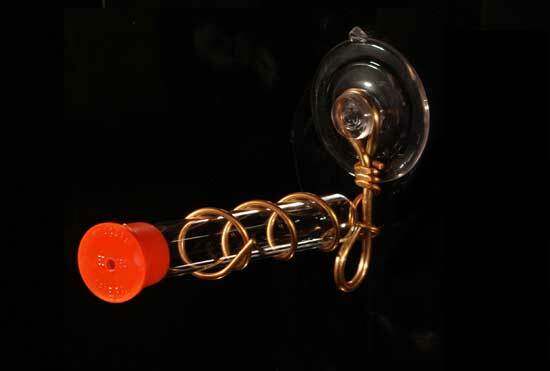 Window One Tube Hummingbird Feeder - SEHHWF1T. Stick to any window and watch from the other side to view hummingbirds up close. Similar to Window Wonder, but does not feature the perch or the red glass bead. Dimensions: 4 inches X 2 inches X 5 inches.